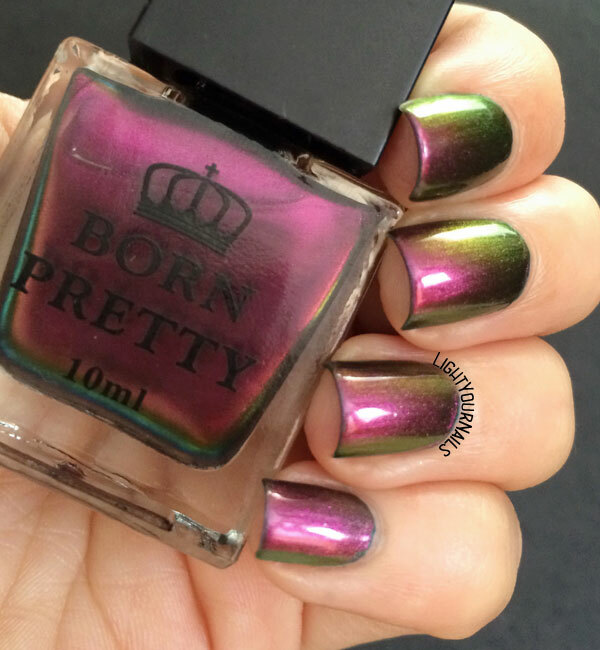 Born Pretty Chameleon Nail Polish 221 | Light Your Nails! 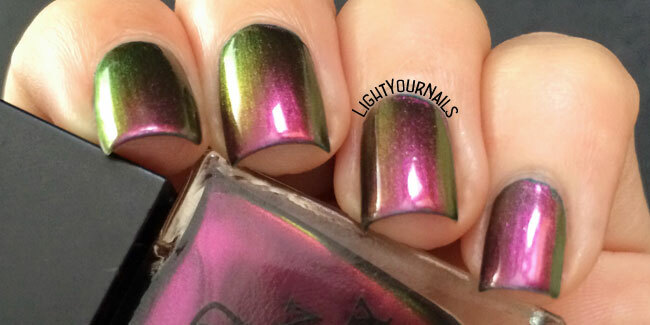 I'm not a huge fan of multi chrome polishes, but it seems like this one has a really nice shift to it! I was pleasantly surprised when I tried this one! I remember your review Kerry! Great swatches. You caught the shift perfectly! L'ho preso anch'io pochissimo tempo fa e recensito subito. Lo adoro e anch'io, come te, amo i duocrome *_* I cambiamenti di colore di questo smalto sono davvero molto netti, bellissimo. Anche io ero tentata da tutti in effetti, ma sai che il blu/verde era quello che mi ispirava meno? Poi ho visto certi swatches e ho cambiato idea! They produce really impressive chameleons. The usual price is often too high, but it's worth to wait for a discount price. Ho sempre avuto il Roz in wishlist e per qualche motivo credevo che virasse più al borgogna che al viola! 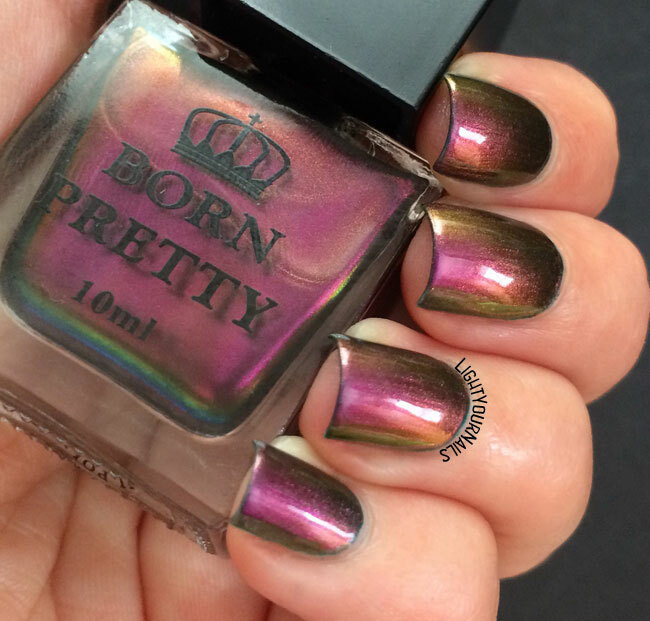 I'm really impressed with this multichrome from BPS. Great swatches! Thank you Anna! I use Ebay way too rarely! Ohhh yes! This is so lovely! 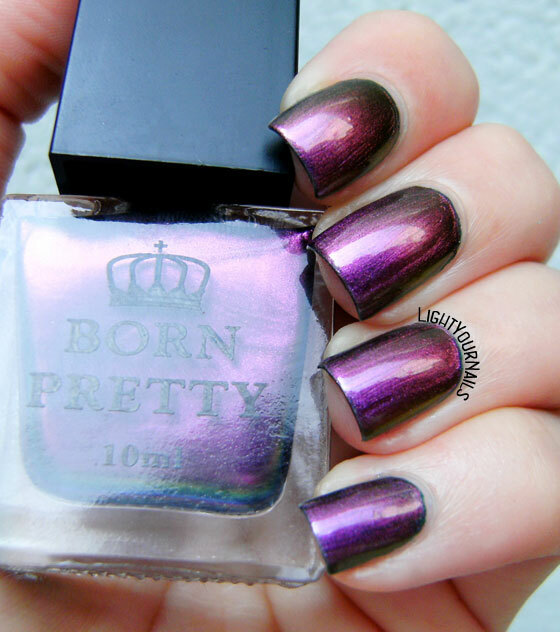 This looks like 3 different polishes from different angles! Gotta love that Katherine, right?? I love this one. It has such a strong shift. Beautiful! I love multichromes more than duochromes. Apparently I like more colour options, lol! I love all of them to be honest but I totally get your point! 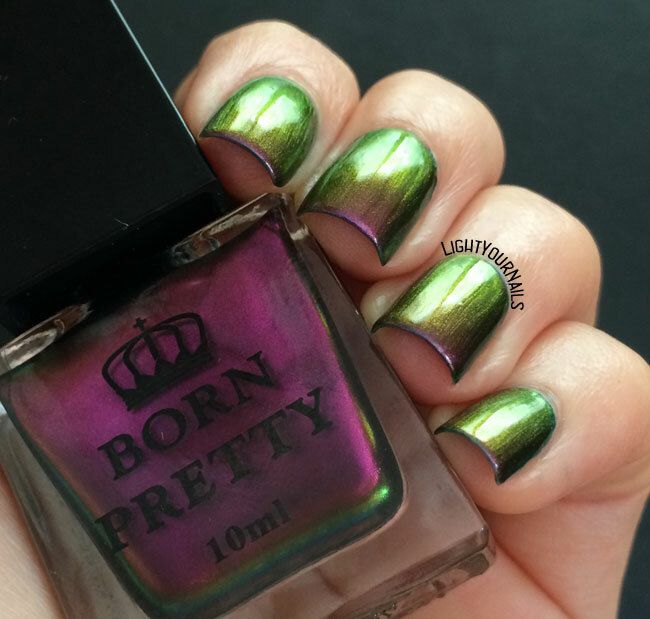 I can never resist the purple-to-green multichrome! I like the green shade/shift of the polish! Really? It's such a shame. I've had luck so far and they've never held anything from Bornpretty fortunately! This is gorgeous! You captured this beautifully!